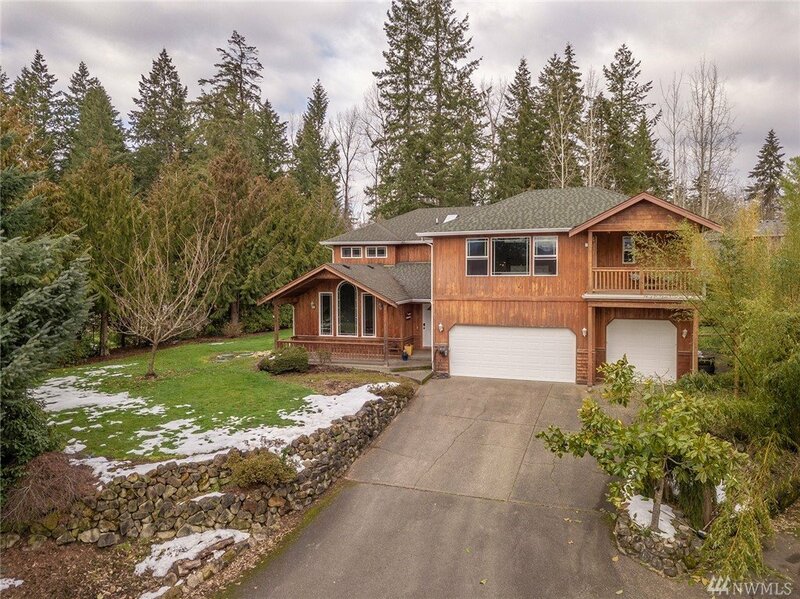 Awake to Breathtaking Panoramic Views of Mt Rainier from Living Rm,Master Bdrm & Balcony.Outdoor Living Awaits with a HUGE yard,Covered Patio W/Fire pit,Large Deck,Large Balcony off Master Bdrm, Suspended Tree House, Creek & Pond, Shed, all sits on 1.13 Acres. Cedar Siding,Open Living,Kitchen Under Cab. Lighting,Granite Counters,Bamboo Flooring,Heated Mstr Bath Floors,Cathedral Ceilings,French Doors,3 Car Garage.Built in 8,000watt auto off/on Propane Generator. This Lovely Home will capture you! MLS #1411876 | Listing provided by NWMLS & Hawkins Poe. Disclaimer: The information contained in this listing has not been verified by Hawkins-Poe Real Estate Services and should be verified by the buyer.